Pneumatic solenoid valves are used to convert electrical signals into pneumatic functions. Applying electricity to the solenoid quickly directs air through the valve and into the circuit. 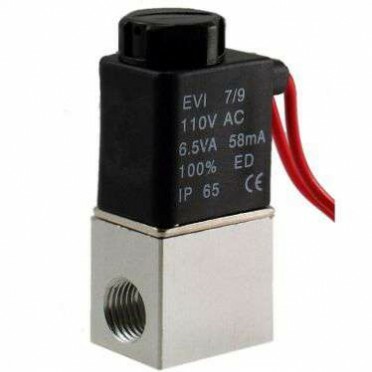 Specifications :5/2 Way Double Solenoid Valve 4V-220-08Type of Product : Double Solenoid ValveModel .. Specifications :5/2 Roller Lever Valve 1/4" MSV86522RSize : 1/4 Inch.. Specifications :Flow Control Valve 1/8" RE-01Size : 1/8 Inch..